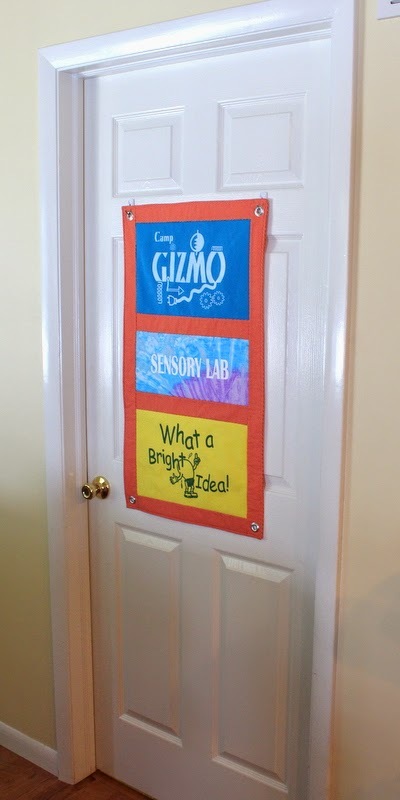 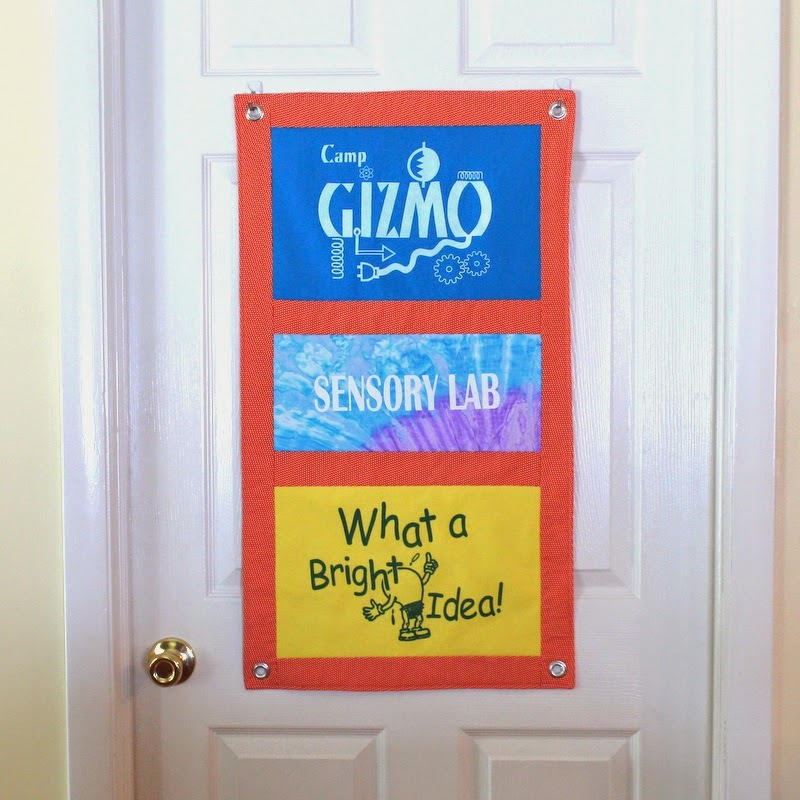 I created a T Shirt door banner for my friend Ingrid to use at Camp Gizmo, a “hands-on camp where parents, professionals, and students learn how assistive technology can help young children with significant and multiple developmental needs.” The banner identifies the Sensory Lab. 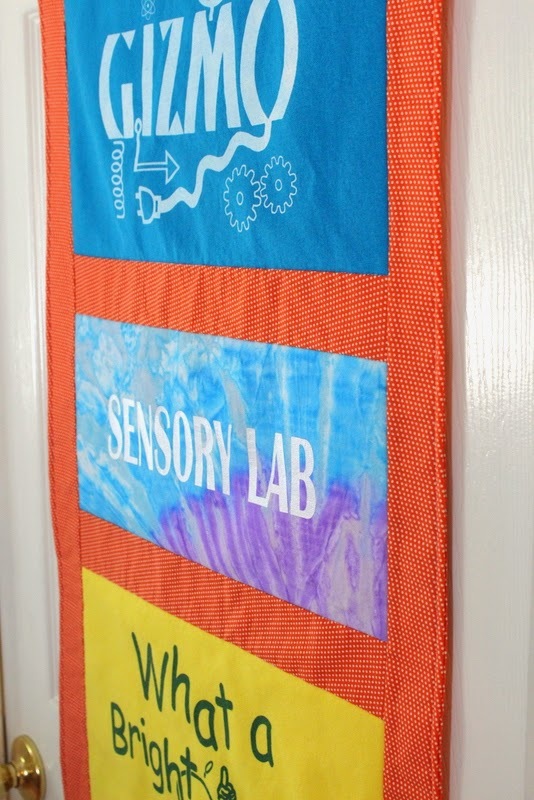 I used an orange dot fabric to contrast the shirts and a layer of batting for body. 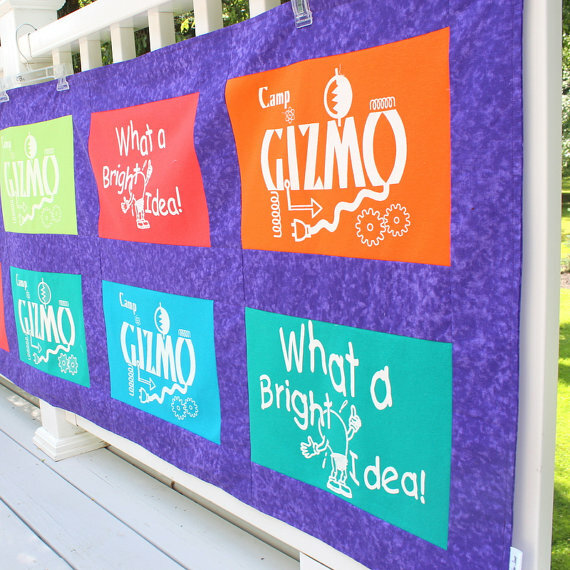 I stitched around the edge of the banner and around the T Shirts. 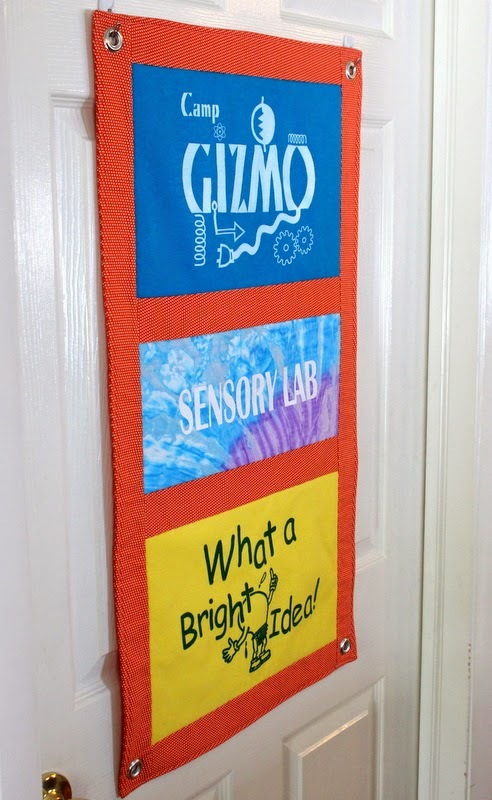 Ingrid has been quite a customer as she has a lot of Gizmo shirts! 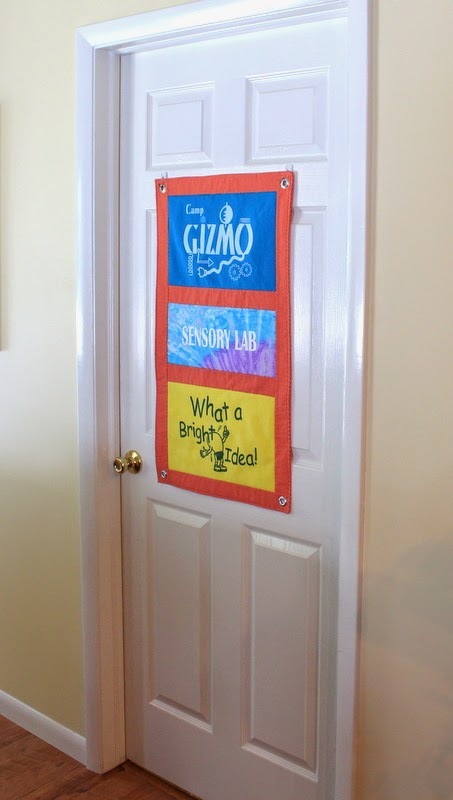 She asked me to create a table banner some time ago. 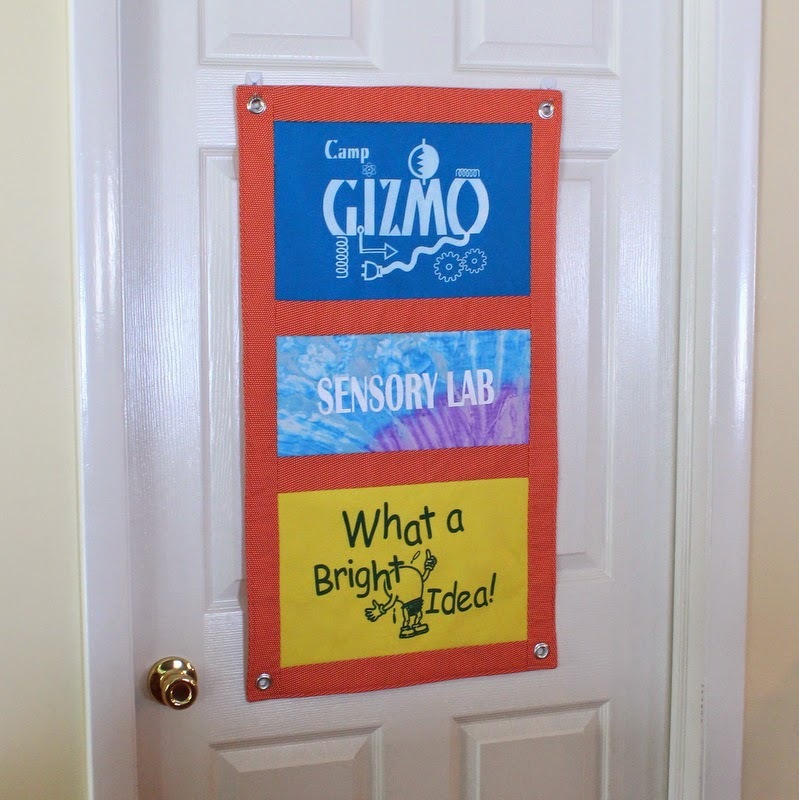 I have the T Shirt Door Banner listed now in my Etsy shop.